A customised domain name is necessary to drive customers to your website, as well as creating a professional identity for your email address. Same-day provisioning (for online signup). 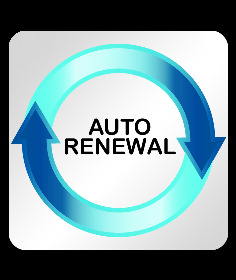 Auto yearly renewal to prevent loss of domain name. Sign up within minutes. Your domain name will be registered and provisioned within 24 hours upon purchase. The primary server is hosted in Singapore with the secondary server hosted in a different overseas location. The geographic diversity between the DNS hosting servers eliminates single point of failure. The business domain name cPanel gives you complete, real-time administration of your domains and DNS records. Avoid worrying about losing a domain name due to expiry. A unique domain name strengthens your brand, allowing your suppliers and customers to identify you easily. 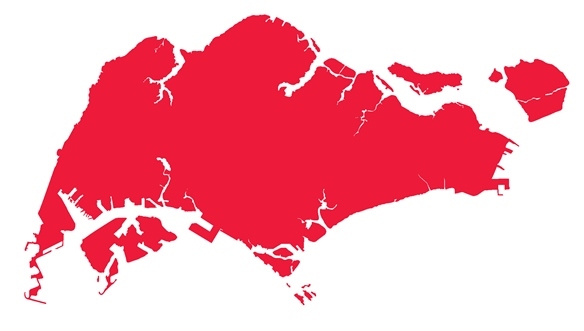 The primary server is hosted in Singapore while the secondary server is hosted in an alternate location. 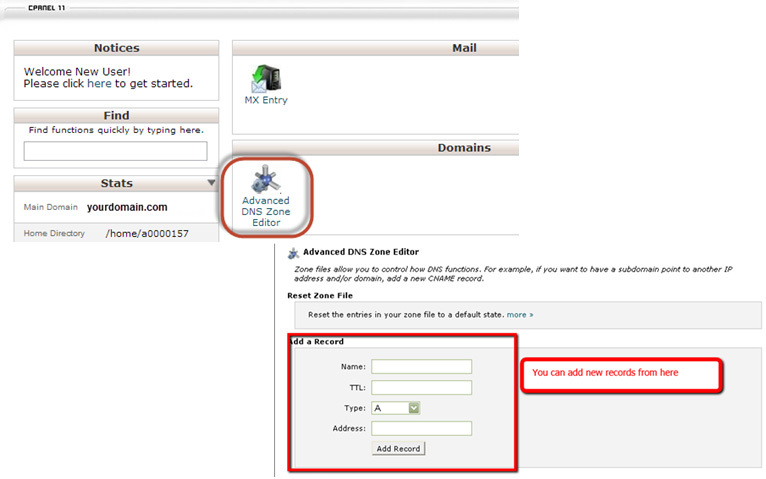 Configure your DNS records anytime using the domain name cPanel. We offer a convenient single point of contact if you require assistance. All offers for this app includes a 12-month contract. What is Business Domain Name & Hosting? Business Domain Name and Hosting is a service for you to register a custom Internet Domain Name for your business. You can use the domain name for your website (e.g. Web Builder) or an email service (Business Email Hosting). Is Domain Name Hosting provided free when we buy Business Domain Name & Hosting? Yes, the primary Domain Name Hosting is free when you register the domain name through myBusiness. If you are buying the service online, you will be able to know whether the domain you entered is already used by other companies. Alternatively, you can check for your preferred domain availability at http://singteldns.com/. Successful registration of Domain Name will be subjected to acceptance of our application by SGNIC or other Registry intermediaries. Can I transfer my existing domain name to be registered in Business Domain Name & Hosting? How long is the contract term for Business Domain Name & Hosting and Business DNS Hosting? 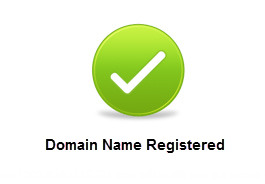 The Domain Name is registered and hosted for a period of 12 months. The service fee will be billed annually at the start of each new 12-month period. You can terminate the service at any time with no additional penalty. Yes, your Domain Name will be automatically renewed for another 12 months as long as you do not terminate the service. It is common for domain name owners to forget to renew their domain names. As such, the automatic renewal provides convenience and ensures business continuity to you. My preferred Domain Name is not available. What should I do? Upon purchasing the Business Domain Name & Hosting service, why am I not listed as the Domain Name Registrant? 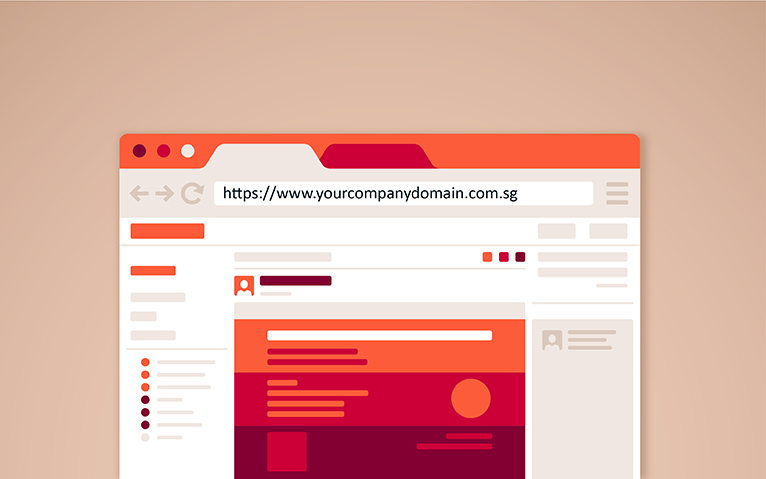 Singtel's partner (Vodien) is acting as a Proxy Registrant on your behalf in order to deliver a smoother, faster Domain Name provisioning process for you. Will I lose my Domain Name to Singtel's partner since I am not listed as the Registrant? If you want to use custom nameservers, please enter the details below. By default, new domains will use our nameservers for hosting on our network. This needs to be obtained from the current registrar for authorisation. The transfer will take place within 10 working days unless the current registrar declines the request. To effect the transfer, you will need to pay for a year of domain name registration. This will extend your current expiry date by a year. Please wait while we search for your domain. Please wait. Your form submission is in progress.